It's the star that controls the planets, and thereby, our destinies.And this was proved today at a star studded event which saw the launch of the new advertising campaign for Nakshatra. Katrina Kaif is the brand ambassador of Nakshtara and when a radiant beauty like Katrina and Nakshatra got together for the making of the new campaign, the end result was breathtaking. In the new Nakshatra TVC we have the goddess of luck performing a cosmic ballet and controlling the cosmos. The latest Nakshatra film is conceptualized and created by Creativeland Asia. The choice of Katrina as the Goddess of Luck was a no-brainer. Given the fact that she has been the lucky mascot of Bollywood, with almost all her films proving successful. pitomizes the expression of love and affection in a women's life. And with the coming together of two of the biggest brands the end result in the form of a TVC was breathtaking"
"The film was quite a challenge considering that we had to deal with one of India's most prestigious brands Nakshatra , one of its brightest stars Katrina and a script that demanded the moon" said Sajan Raj Kurup, Chairman & Chief Creative Officer, Creativeland Asia Network. Creativeland Asia and Crocodile films put up one of the largest Chroma sets in India and put up a creative team from four different countries (India, UK, Malaysia & Japan) to execute the film. The mega production that were involved in the making of the TVC were Creative Direction & Film Production - India, VFX Generation - Malaysia, CG Compositor - Japan, Music composer – London. Gitanjali Gems Limited, a DTC sightholder, is one of the largest integrated diamond and jewellery manufacturers and retailers in India. Its operations include sourcing of rough diamonds from primary and secondary source suppliers in the international market, cutting and polishing the rough diamonds for export to its international markets, and the sale of diamond and other jewellery through GGL's retail operations in India, as well as in international markets. The company exports its cut and polished diamonds, and its diamond and other jewellery products to various international markets in Europe, including to Antwerp and Italy, the United States, the Middle East, as well as to markets in Asia, including Japan, China, Hong Kong and Thailand. GGL also sells its branded diamond and other jewellery products under brands, such as Nakshatra, Asmi, Gili, D'Damas, Sangini, Collection G, Gold Expressions and Vivaha Gold, in India through its network of approximately 840 outlets. The Gitanjali Group has extensive knowledge and experience with US product ranges for over two decades. Gitanjali Gems Limited is also playing a key role in adding capabilities to the Jewellery industry in India by building two SEZs, including one across 200 acres in Hyderabad, one of the largest of its kind. Launched in 2000 Nakshatra reached the iconic stage in just three years. The Nakshatra Collection has unique floral designs with multiple diamonds encircling a single large diamond to signify the constellation effect. Special Packaging and its own guarantee certificate promising the purity and sparkle of Diamond. Its available in three collections Nakshatra collection, Eternity Collection & Solitaire Collection. The brand is available in 18 Kt BIS Hallmarked Gold. It's offered in superior quality diamonds of 4 Different Grades certified by the most reputed International Gemmological Institute. 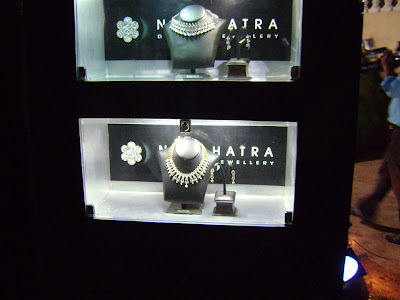 Nakshatra has emerged, as one of India's leading brand in Diamond Jewellery Segment. The continued success of Nakshatra is a result of its constant metamorphosis. In its first year, Nakshatra was awarded the Effie (Silver) in 2001 and in the following year the Effie (Bronze). The Effie is the most significant award in advertising that recognizes effectiveness and honors tangible results. In 2003, the Nakshatra Utsav was awarded the Best Trade Promotions award at the McDowell's Signature All India Promo Awards. 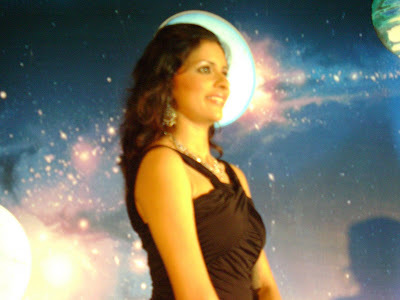 In 2007 Nakshatra was awarded the Retail Jeweller Award for the best TV campaign of the year. The in-house designing team at Nakshatra is extremely innovative and comes up with fresh ideas and concepts which have received recognition at the JCK- New Delhi Gold Souk design award 2006, the IIGJ Awards 2007 and the Tahitian Pearl Awards 2005 and 2007. Nakshatra is synonymous with trust and purity in a category that is fraught with questionable practices. It epitomizes the expression of love and affection in women's life. Nakshtra has established itself as an ethical player in the market as it comes with its certificates of authenticity and assuring transparency in the buying decision of the consumers.Overt Nakshatra brand values include beauty, radiance, class, elegance and quality. Amongst the symbolic values are feminity, celestial splendour and mysteryThe Nakshatra Collection has unique floral designs with multiple diamonds encircling a single large diamond to signify the constellation effect Special Packaging and its own guarantee certificate promising the purity and sparkle of Diamond.